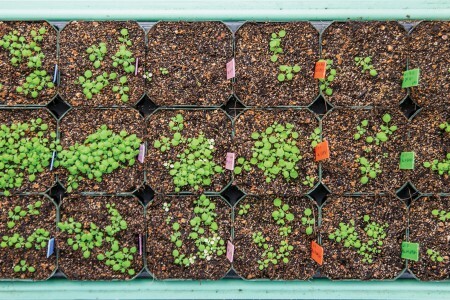 Manipulating how plants express their genes promises higher crop yields and better performance under drought or other environmental stress. 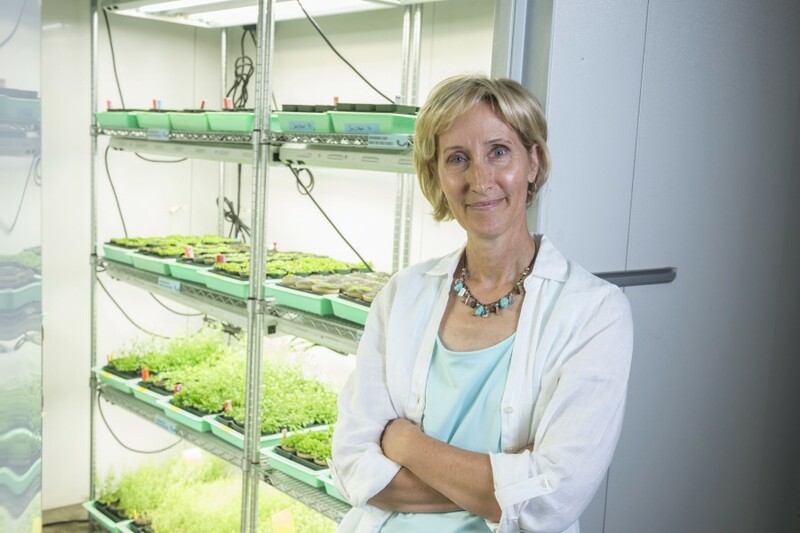 UNL plant scientist Sally Mackenzie is harnessing her breakthrough in epigenomics to improve crops important to developing countries. Mackenzie discovered that using a transformation technique to turn off a specific gene found in most plants stunts the plant’s growth. However, crossing this reprogrammed plant with an unmodified plant produces progeny with greatly enhanced growth, even when plants are stressed. This translates into up to 35 percent higher yields in many crops. Importantly, those enhanced characteristics remain stable in subsequent generations without altering their genetic makeup. That’s because switching off the gene in the parent changes the progeny’s epigenetics – or how their own genes are expressed. 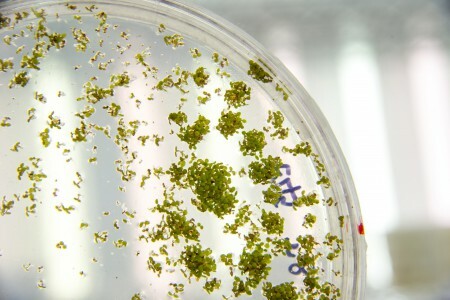 This technique requires significant resources to create an original transgenic plant, and some crop plants aren’t amenable to transgenic transformation. 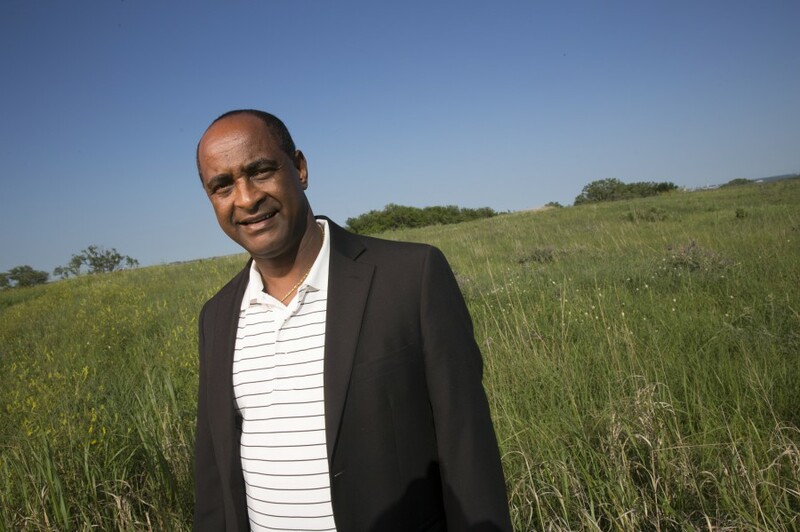 With a nearly $3 million, three-year grant from the Bill & Melinda Gates Foundation, Mackenzie is exploring ways to tap this epigenetic potential to improve crops for low-resource African farmers. She’s testing the effectiveness of using a weakened virus to introduce the foreign gene that switches off the plant gene. She’s also crossing epigenetically enhanced millet with African varieties and grafting a modified cassava rootstock to unmodified plants. 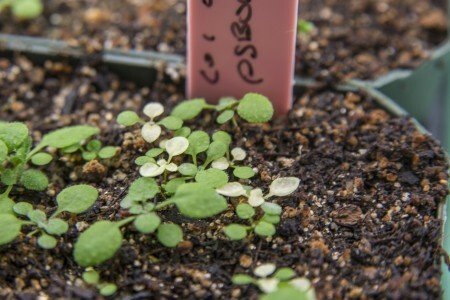 These epigenetic techniques leave plant genomes unmodified, eliminating concerns about releasing transgenic plants. Mackenzie expects to be able to provide crop material for distribution through collaborating institutions by 2016. Her UNL team also collaborates with UCLA researchers to study changes that take place within the genome to cause the enhanced characteristics. Better understanding the underlying biological changes will help researchers improve crop breeding.